I started with the sweet little Hoppy Easter - Bunny 3 file. I love how he is peeking out from the flower pot! 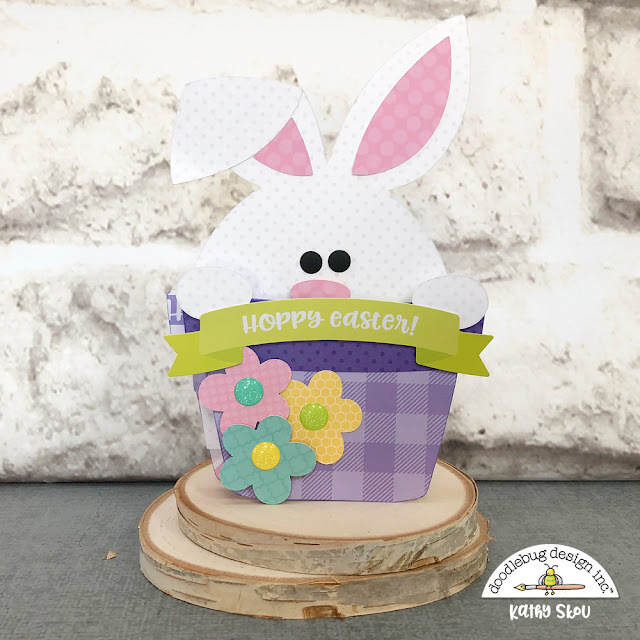 I used a combination of Hoppy Easter Papers and Dot Stripe Petite Prints to piece him together. To complete the card I added some Glitter Sprinkles and the Hoppy Easter Odds & Ends banner piece. 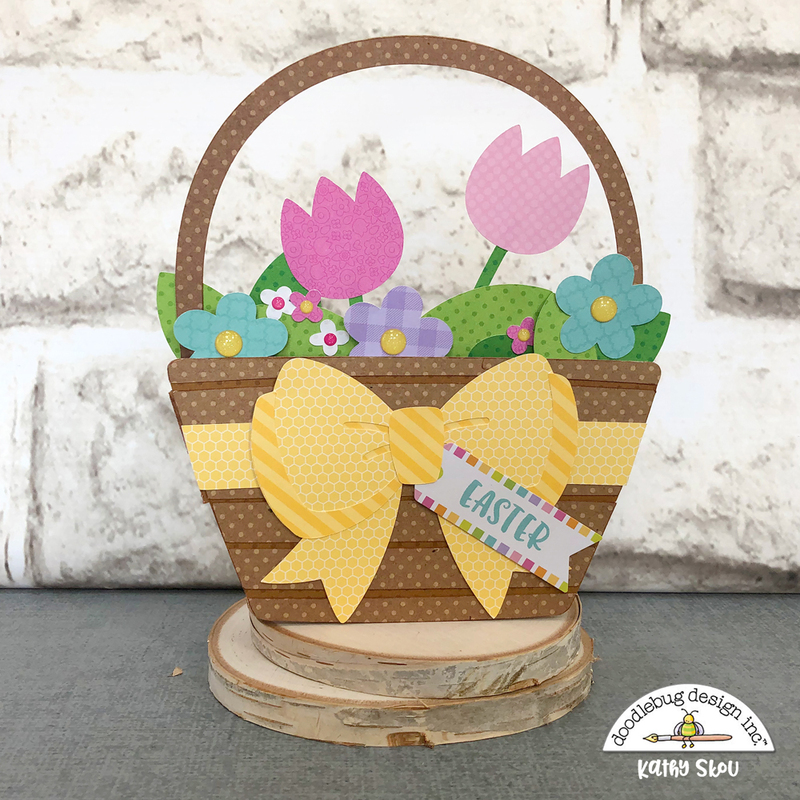 For my next card I used the Hoppy Easter Basket of Flowers file. I think this is one of my absolute favorites! 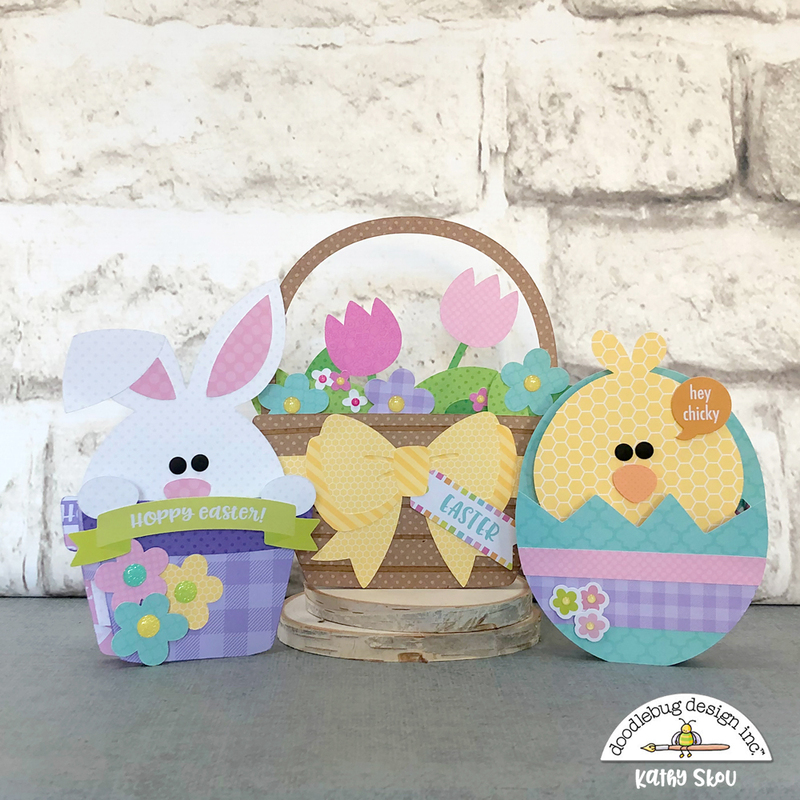 I combined papers from Hoppy Easter, Simply Spring and some more Dot Stripe Petite prints to make it, and finished it with some sprinkles and the Easter tag from the Odds & Ends pieces. I think this would also make a nice card for Mother's Day! 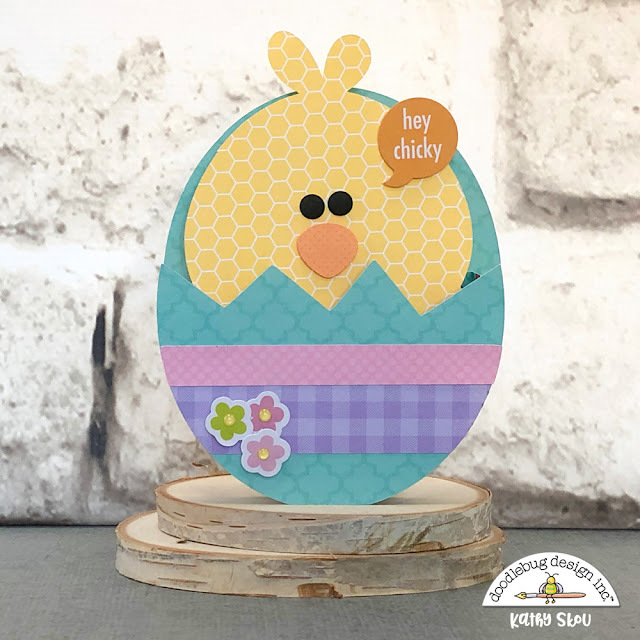 For my last card I used the sweet little chicky from the Hoppy Easter Chick in Eggs File. I made a full egg for the back drop to make him look like he's just hatching and finished him with some flowers and speech bubble from the Odds & Ends pack. Have you created any projects using the Hoppy Easter Collection or Cut files? We would love to see what you made, so be sure to tag Doodlebug Design on Facebook (@Doodlebug Design) and Instagram(@doodlebugdesign). That's it for me today, thanks for stopping by to peek!